Bridgestone Arena in Nashville, Tennessee hosts Saturday’s festivities. UFC Fight Pass streams the first three preliminary bouts live starting at 6:30PM ET/3:30PM PT. Fox Sports 2 airs the remaining prelims at 8PM ET/5PM PT. The main card begins on Fox Sports 1 at 10PM ET/7PM PT. 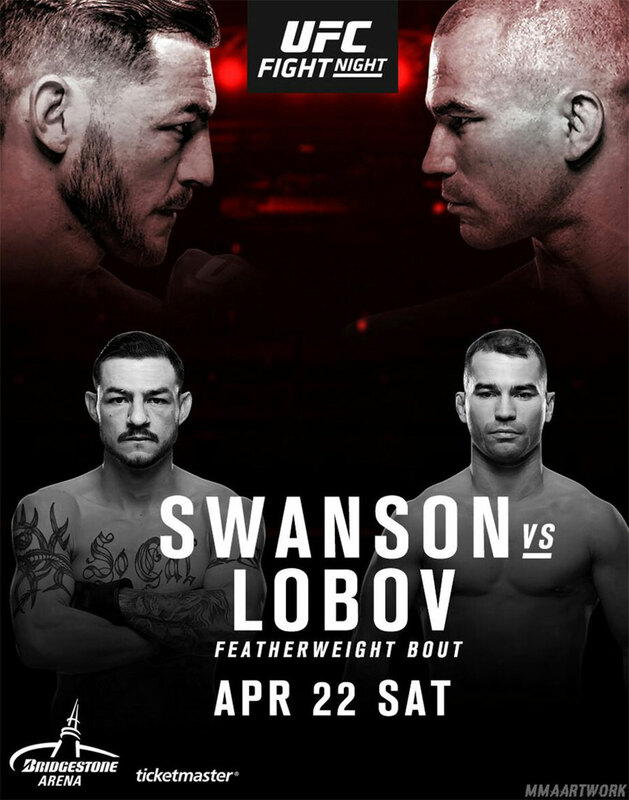 A featherweight tilt between Cub Swanson and Artem Lobov headlines the show. Lightweights Diego Sanchez and Al Iaquinta meet in the co-main attraction.